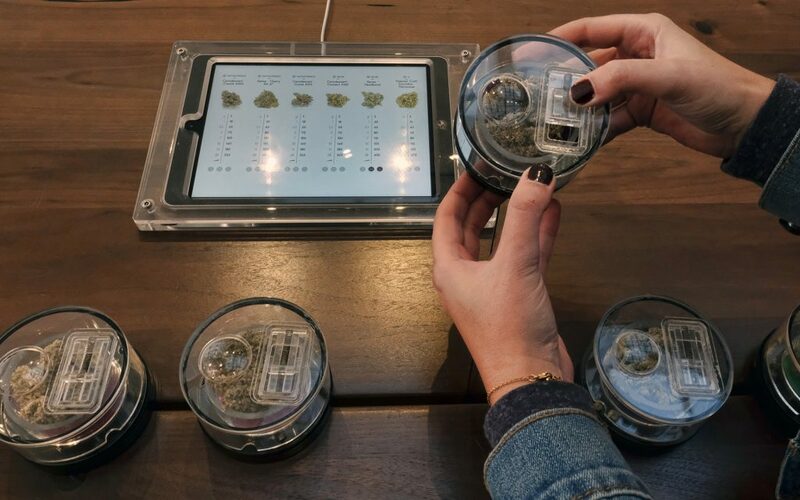 In California’s second month of legal adult-use cannabis sales, the nation’s largest retail cannabis scene, Los Angeles, is a mess. 'Due to the lack of enforcement, illegal shops and delivery services are opening up' and stealing sales from licensed dispensaries. Licensed dispensary owners say the opposite of what was supposed to happen has happened: As they hold on with limited revenues—many still awaiting city and state licenses—illegal storefronts and delivery services have cropped up to siphon sales. Some owners of licensed dispensaries are exasperated. Those who aren’t losing money so far in 2018 say they’re just squeaking by, as new underground shops and illicit delivery services steal their customers with cut-rate prices made possible by the fact that they’re not paying taxes. Why Am I Paying Taxes, Again? Those taxes are no joke—they include a nearly 10 percent county sales tax, a 15 percent cut for the state of California and a 10 percent cut on receipts that go to City Hall. “Due to the lack of enforcement and due to legalization, it has empowered illegal shops to start opening up,” says Virgil Grant, owner of Med EX Now, a licensed dispensary. Grant is also the co-founder and president of the Southern California Coalition, the city’s largest cannabis industry trade group. Jared Kiloh, owner of the Higher Path dispensary in Sherman Oaks, said he had to sit on his hands in January, when he was awaiting a license from the city. Meanwhile, multiple illegal shops opened in the surrounding neighborhood and dozens of new delivery services set up shop. 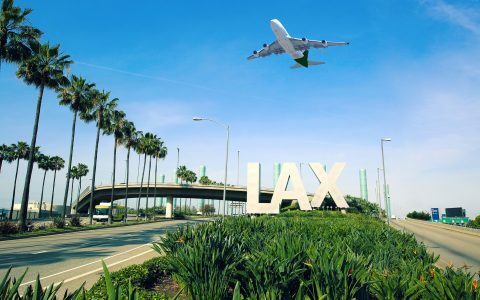 The Los Angeles market has long been seen as the grand prize for legal cannabis in the United States and perhaps the world. Even during the era of medical pot the city of L.A. alone had as many tax-paying cannabis retailers as did the entire state of Colorado, which began adult-use sales in 2014. And that’s not counting the rest of the 88-city county of Los Angeles. 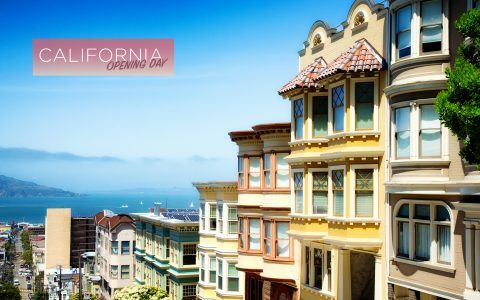 With recreational legalization and the coming of the city’s voter-approved Measure M, which overturned the loose framework of the past in favor of licensing, it’s expected that 300 or more retailers, not to mention manufacturers, delivery services and testing labs, will be blessed by City Hall. But as the City of Los Angeles Department of Cannabis Regulations hustles to release the first batch of licenses to rule-following retailers, the most legitimate shops in town have had to serve a trickle of customers willing to pay their tax-enhanced higher prices, even as commerce rages at illegal storefronts, observers say. For some the dream of a green rush in America’s largest pot market has become a real let-down. The biggest sore spot for legit dispensaries is illegal delivery. Why drive to a shop, which may or may not be legal, and pay high taxes when a guy can come to your door? In conjunction with state law, the city is only poised to allow deliverers tied to licensed brick-and-mortar shops. And delivery licenses in L.A. have yet to be issued. 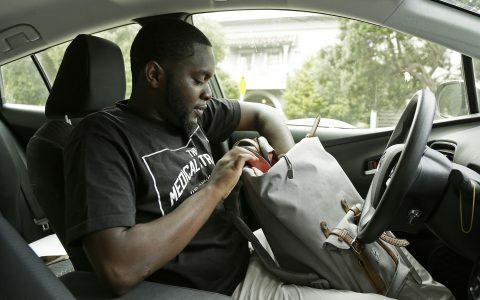 Kiloh, president of the UCBA (United Cannabis Business Alliance), a group of legit dispensaries in town that inspired Measure M, says he estimates that 200 new delivery services have popped up since the beginning of the year. “Delivery is not even legal in the city of Los Angeles,” he notes. Delivery was essentially outlawed under the city’s last regulation framework, Proposition D, which was approved by voters in 2013. The measure only allowed 135 or fewer shops to exist, although they were not expressly legalized. Instead they were offered limited legal immunity. Those stores are often called “pre-ICOs,” because they’re supposed to have existed prior to a failed attempt in 2007 by the city to enact an “interim control ordinance” that intended to freeze the growth of dispensaries in town. The state’s new legal cannabis framework requires local municipalities to license cannabis companies, and “limited legal immunity” wasn’t going to cut it. The City Council stepped in with Measure M, which is now responsible for licensing all of the city’s cannabis companies. Delivery services tied to brick-and-mortar shops will be licensed, but the city is initially focused on those so-called pre-ICOs, like the shops owned by Grant, Kiloh and De la Torre, who received the first “priority” licenses. According to a spokeswoman for the office of City Council President Herb Wesson, “the current working number is around 157 dispensaries” that are expected to receive priority licenses from the city. While that number could be seen as fishy given the longtime assumption that there were fewer than 135 pre-ICOs still operating since 2007, the possibility that poseur shops will receive the much-coveted priority licenses has taken a backseat to support for enforcement against hundreds upon hundreds of fully illegal shops. Those who now favor the issuance of 157 or so priority licenses say there were 187 pre-ICOs in 2007 and that some of those shops that are no longer around should be given a chance to become legal again, despite the survival of fewer than 135 dispensaries since then. However, many observers agree that the figure of 157 could open the door to illegitimate shops that used doctored paperwork or other shenanigans—some pre-ICOs were split into multiple storefronts—to become legal. Those would-be pre-ICOs relied on documentation that many call “Frankenstein licenses,” backed by documents that included business tax registration certificates (BTRCs) that created the appearance of compliance, critics say. 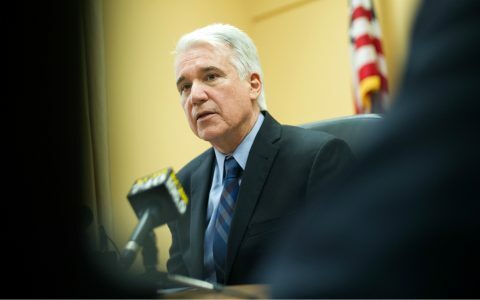 Both Kiloh and Spiker say licensing 157 or 158 dispensaries as good actors, even though some aren’t, is better than allowing fully illicit shops to operate without any enforcement. Kiloh estimates there may be as many as 1,500 illegal dispensaries in Los Angeles, a figure echoed by other experts. Legal operators say they’re going through loopholes to stay open while illicit concerns take their business. The legit dispensaries are counting on the city’s Department of Cannabis Regulation to help weed out the fakes by withholding licenses. But the department, run by former Drug Policy Alliance coordinator Cat Packer, appears to be overwhelmed. The office has only three employees, including Packer. They’re tasked with weeding through thousands of cannabis industry hopefuls. It’s a daunting challenge for a city that does not even know precisely how many pre-ICOs exist or how many illicit stores exist. The mayor’s office, the City Attorney’s Office and the Department of Cannabis Regulation did not make anyone available to comment on the record for this story. For now, the good actors in the local cannabis industry are eagerly awaiting the cavalry to come and shut down their illegal competitors. Cops can raid shops under state and local law. But the City Attorney’s Office also has tools, including daily $20,000 fines for illicit operators and the landlords who facilitate them. The wild west scenario continues as the shops that comply with legalization are daunted by those that feel that are untouchable. Shops that stay open until midnight, 2 am and 3 am. Prop D did not slow the growth of these noncompliant shops as the penalty was too lax. Most of those prosecuted under Prop D ended up with a misdemeanor conviction, 3years probation and a $3,000 fine plus court fees and assessments. I have many client shops that have seen 60 to 70% decreases in business as they await the Provisional License. Anxious for the Press Conference on Feb 13th for some new insight.